Among the restaurants in Cassino and in the Province of Frosinone, the Restaurant Al Poggio di Casalucense is the right place where to celebrate any important event, a romantic location to set events and weddings, totally surrounded by the nature, and that offers an enchanting view on the surrounding landscape, among the hills and the luxuriant woods of the Latium. 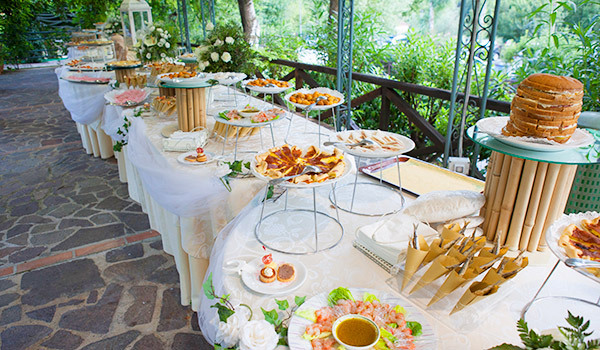 Al Poggio di Casalucense is a venue where to set fairy weddings, thanks to the amazing panorama but also to the high quality cooking, that is well known and appreciated thanks to its excellence and the creativity of our chef, that are able to wisely enhance the typical tastes and the creativity of every menù. The planning of an event, a ceremony, a wedding, an anniversary or any other kind of occasion, call for an elegant space, intimate and exclusive. The Restaurant Al Poggio di Casalucense, that directly overlooks on the woods of the National Park, gives a natural magic atmosphere, both at day, with the brilliant colors of the garden and the brightness of the rooms, both at evening, thanks to the light games and the surrounding nature. In this striking location, every importan occasion will become unforgettable and all your wishes will be satisfied by our staff. In the magic atmosphere of our location, every moment will be rich in feelings and sweetness, especially thanks to the wedding cake. 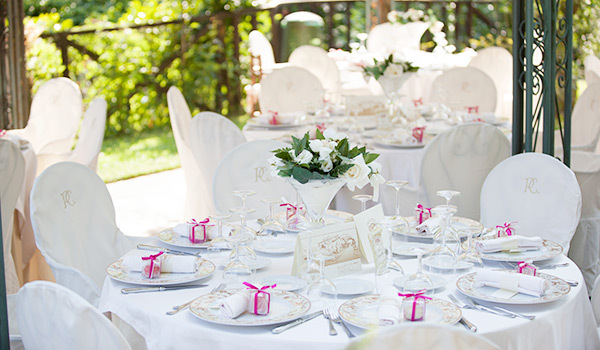 The cut of the wedding cake is always one of the most awaited and at Al Poggio di Casalucense one will be enchanted by the poetical situation made by the fittings and the striking beauty of the gardens. In agreement with our staff, one can choose, furthermore, the wedding cake that mostly suite the style of his wedding and matches his tastes, by choosing between the most classical or the most original ones. 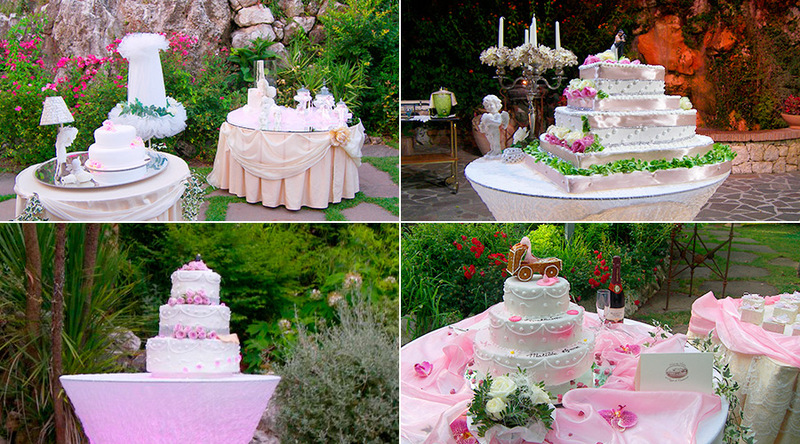 The wedding cake, indeed, must represent the couple and say something to their Guests. At the cutting of the wedding cake, will follow a rich "confettata" (a corner with a lot of different kind of sugared almonds), a tradition whose the bride and the groom rarely give up. The Guest is a gem that lays down on the cushion of hospitality.